Among individuals with PTSD, those who were victims of terrorist attacks have a higher risk for neoplasms than those who experience other traumatic events. 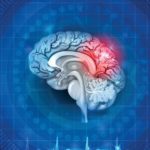 HealthDay News — Among individuals with posttraumatic stress disorder (PTSD), those who were victims of terrorist attacks (TA) have a higher risk for neoplasms than those who experience other traumatic events (OTE), according to a study published online Jan. 8 in the Journal of Neuroscience Research. “Patients with PTSD due to TA and female patients should be considered for their higher prevalence of neoplasms, while male patients and those with higher symptom duration should be monitored for circulatory disease and metabolic syndrome,” the authors write.